The district is doing right by the animals! 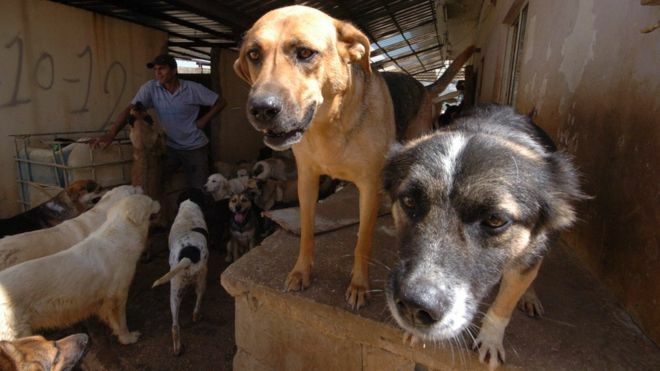 With devastating stories of unauthorized hunting and unjustifiable killing of street animals popping up sporadically, the Lebanese animal-loving community has been doubling down efforts to keep on track. Its latest success comes in the Chouf area, where the construction of a large shelter for stray dogs is underway. So far, it is safe to say that the Lebanese government hasn't handled animal welfare and the issue of strays very well. Local municipalities have been prone to resort to barbaric measures like mass poisoning, with little to no legal consequence. But with nation-wide protest and outcry, things finally seem to be changing. The Federation of Chouf Es Souayjani's Municipalities has earned itself a round of well-deserved applause with its latest decision to allot a piece of land to the construction of a dog shelter. Rather than following its confreres' method of dealing with the issue, which was either to round up the dogs for killing or -at best- to ignore them altogether, the collective of municipalities took an admirable route and provided a durable fix for a permanent situation. Although the construction is still in its early stages, a multi-faceted schematic and plan-for-action has already been put in place on how to handle the dogs once the shelter opens its doors. The first-of-its-kind in an area scaling 9 towns and villages, the influx of rescued strays is expected to peak rapidly. According to the federation's president Yehyah Abu Karroum, the shelter will be fitted with holding facilities and veterinary staff to treat the dogs once admitted. All dogs will be vaccinated and spayed/neutered. The project comes in partnership with several environmental activists and animal welfare organizations, as well as under the patronage of Dalia Walid Jumblatt, daughter of Chouf politician and well-known dog-lover Walid Jumblatt. We, for one, hail the federation's initiative and hope it sets an example for other municipalities across Lebanon to soon follow.